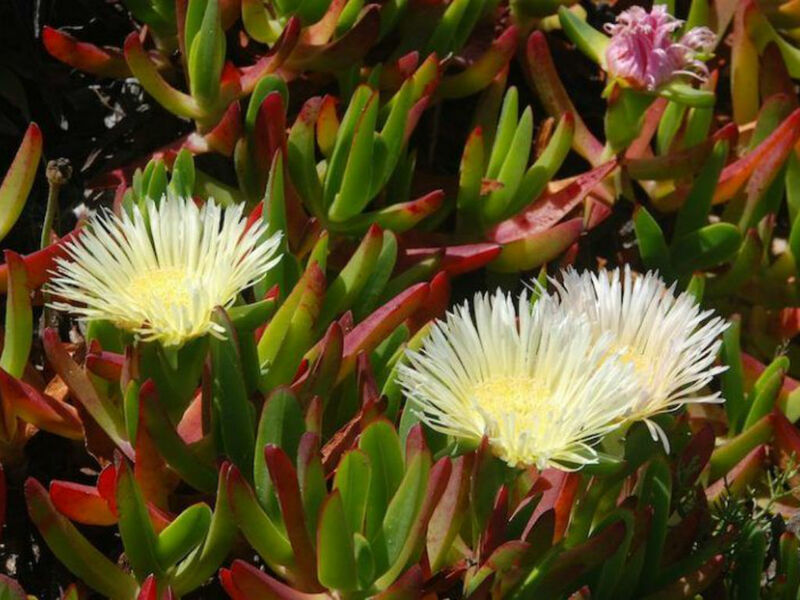 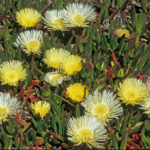 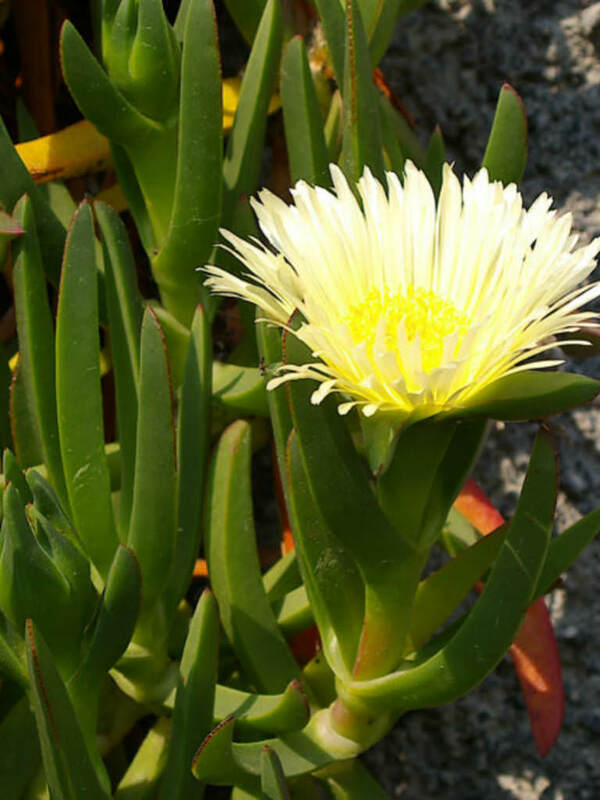 Carpobrotus edulis is a creeping, mat-forming perennial succulent with leaves crowded along the stem, up to 5 inches (12.5 cm) long and up to 0.5 inch (1.2 cm) thick, sharply 3-angled and triangular in cross-section, yellowish to grass-green and reddish when older. 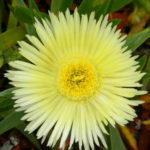 The flowers are yellow or light pink, up to 6 inches (15 cm) in diameter. 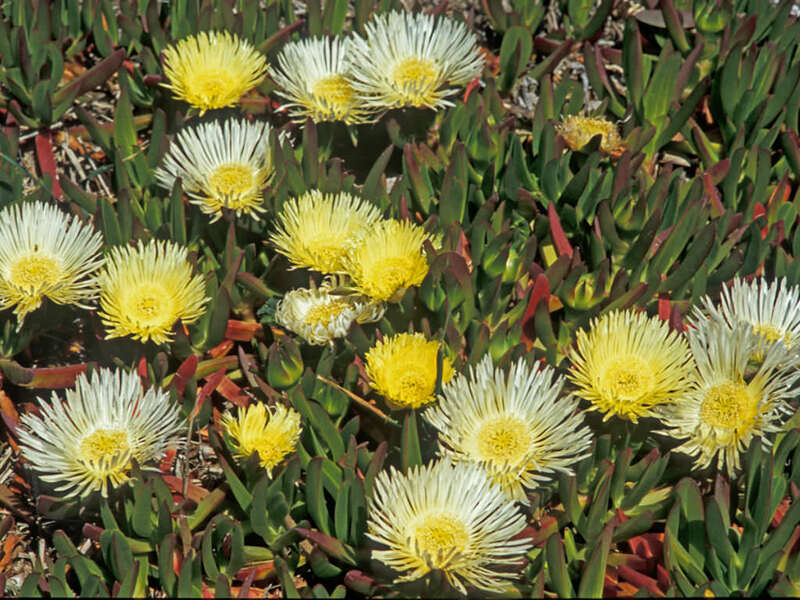 The fruit is up to 1.4 inches (3.5 cm) in diameter, fleshy, shaped like spinning top, on a winged stalk, becoming yellow when ripe. 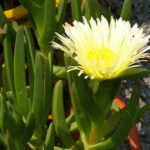 USDA hardiness zone 8b to 11b: from 25 °F (−3.9 °C) to 50 °F (+10 °C). 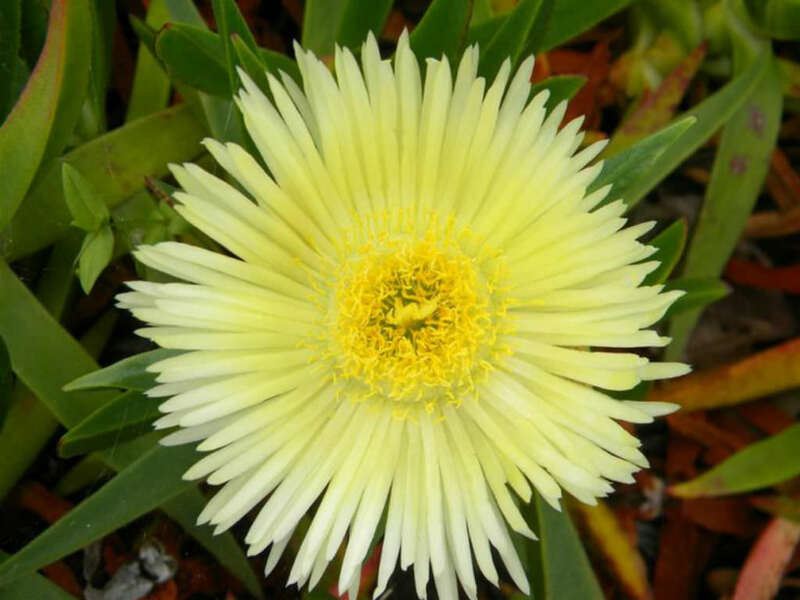 Native to South Africa (Coastal and inland slopes from Namaqualand in the Northern Cape through the Western Cape to the Eastern Cape).